Oman Air has integrated the Offer and Order Management Solution (OfrMS) from TPConnects to enhance its personalized retailing capabilities and NDC enabled distribution, with air and non-air ancillaries, to create unique buying experience that caters to customer’s constantly changing needs. Oman Air, Chief Commercial Officer, Paul Starrs commented: “We are pleased to partner with TPConnects and deploying their scalable Offer and Order Management Solution (OfrMS) and NDC enabled Distribution, as part of our strategy in adapting and accelerating the new era of persona based airline retailing. TPConnects OfrMS is integrated on top of the assets (Passenger Service System, Frequent Flyer Programme etc) we already have, hence we are able to get NDC Certified on Level 3 and go to market in less than two months. Implementing the OfrMS and NDC standards brings the opportunity for Oman Air to package, price and offer bundle and a la carte air and non-air ancillary products along with richer content directly through Travel Agents and Corporations and fulfill as many of our customers end-to-end travel needs”. TPConnects is the only IATA DUAL Level 3 Certified IT Provider and Travel Aggregator and the first IT Provider to get the IATA Financial Gateway (IFG) Solution Provider certification from MENA Region specialized in Next Generation Travel Retailing with air and non-air ancillaries, NDC Offer & Order Management with customer-centric business rules and NDC enabled Distribution. 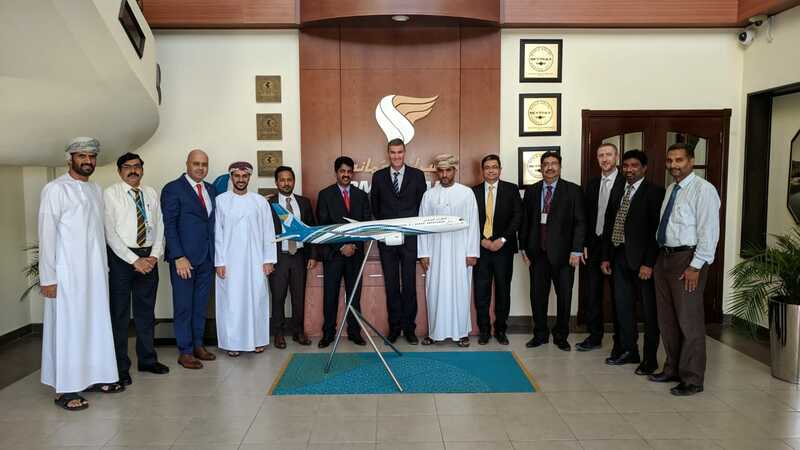 Rajendran Vellapalath, Chief Executive Officer, TPConnects said “As an organization focused on travel retailing and NDC enabled distribution, we are excited and thrilled to be working with Oman Air in their Travel Retailing journey. By Integrating TPConnects scalable and PSS agnostic Offer and Order Management Solution, Oman Air will be able offer the right products and service as always to their guests, delivered through the right channel, and at the right time, with rich content. For travel agents and corporations embracing Oman Air NDC certified solution means access to a complete direct storefront with easier access to broader airline inventory, including seats, air and non-air ancillaries, bundle and a la carte with varied rate tiers and packages. IATA accredited Travel Agents will be able to transact the same way using IATA BSP or ARC and NDC transactions will be issued on Oman Air documents. Non-IATA travel agents have to contact the respective Oman Air sales offices to get access to the NDC direct connect solution. Online Travel Agents and Meta search engines will be provided with NDC Application Programming Interface (APIs) to access Oman Air complete Offers and Order management including after sales service.